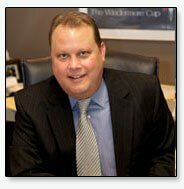 Scott Hughes has over 15 years of experience as a personal injury trial attorney. He received his undergraduate degree from California Lutheran University (B.A. Business Administration) and then graduated with a law degree from Seattle University School of Law. Scott’s practice focuses on civil litigation, specifically representing clients who have suffered personal injuries or are victims of medical malpractice. Scott is an active Eagle Member of the Washington State Association for Justice. He is also a member of the American Association for Justice and King County Bar Association. Scott was named a “Rising Star” attorney by Washington Law and Politics Magazine.